The story has been written by Jean-François Champollion who devoted his life to the study of the history of Egypt, deciphering the Rosetta stone, a milestone that represented a revolution in the understanding of Ancient History of Egypt. 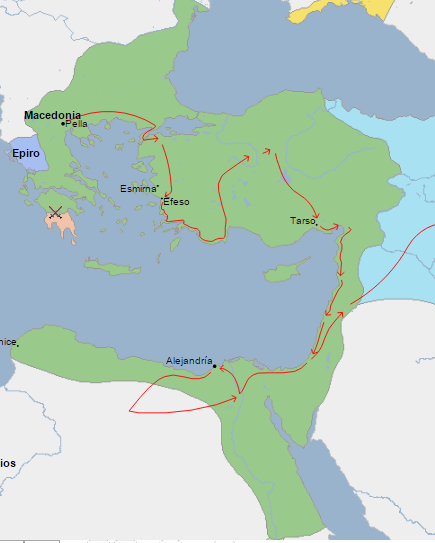 To understand all this exciting process, we must bear in mind that, in the year 343 BC, the last Egyptian native dynasty was defeated by the king of Persia Artaxerxes III, and in 332 BC, Alexander the Great conquered the country, giving entrance to the Greek culture. Therefore, Egypt was for centuries a dwelling place of Greeks, Romans, Coptic Christians, Arabs … each of them introduced their religion, culture and, of course, language, condemning to oblivion one of the most important civilizations in our history. 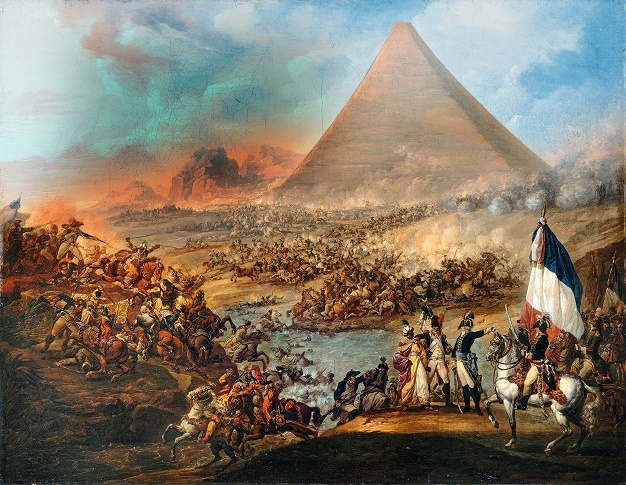 More than two thousand years later, Napoleon began his campaign in Egypt in 1798, with an armada of some 40,000 men and 167 scientists, linguists, artists and academics with the mission of studying all aspects of Egyptian history and culture. In that same year, in an excavation in the town of Rosetta, Pierre François Bouchard, discovered a large slab containing inscriptions in ancient Greek, demotic and hieroglyphic, the now known as Rosetta stone. After the battle of the Nile and three years of siege, the British defeated and expelled the French. 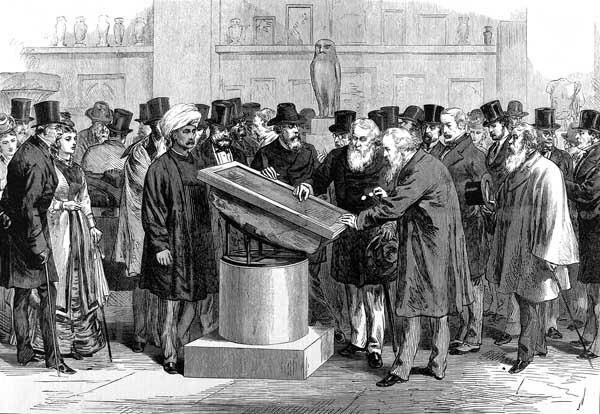 In the Capitulation of Alexandria they agreed that Egypt and everything discovered in it belonged to Great Britain, so they took the Rosetta stone and moved it to London, where it is exhibited in the British Museum since 1802. 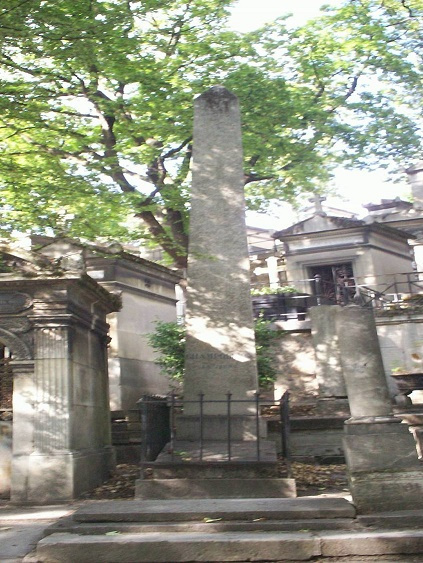 On December 23, 1790, Jean-François Champollion was born as the father of Egyptology. From a young age he was educated by his older brother, Jacques Joseph, a scholar in Ancient History and archeology who decided to stay in the background and help his brother in his studies. Jean-François had extraordinary abilities for study as demonstrated by the fact that at 16 years of age he already knew how to speak Greek, Latin, Arabic, Persian, Hebrew, Sanskrit and ancient Chinese. With the help of his brother he moved to Paris to study at the École Nationale de Langues Orientales, where he met Professor Silvestre de Sacy, one of the scholars of the Rosetta stone. He had to content himself with mere copies for his study, since the original was in the possession of the British. Precisely in the United Kingdom, the scientist Thomas Young, recognized doctor and great intellectual, tried to decipher the hieroglyphs applying the mathematics, based on the logic and the numerical analysis, counting the words in Greek and comparing them with groups of symbols in the hieroglyphics. This method seemed correct but he made a mistake in believing that the hieroglyphs contained only symbols. Champollion, years later, would demonstrate that this thesis was incorrect, since the hieroglyphic characters had not only a phonetic value, nor an ideographic value, but it was a combination of both. While Young presented his first studies, Champollion was immersed in the study of the copies of the Rosetta stone, understanding that he had to know the languages ​​spoken in ancient Egypt to unravel its mysteries. 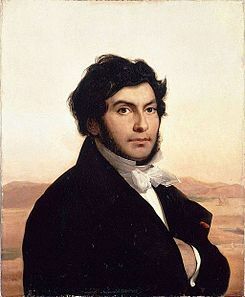 Champollion believed that the key was in the study of Coptic, the language of Christians Egyptian that descended directly from spoken Egyptian. He learned that language in some Coptic churches that still existed in Paris. With the study of the Coptic he saw that some spellings and sounds coincided with the hieroglyphics of the Rosetta stone. For example, the sun was pronounced “Rae” in Coptic, and the sun god in Egypt was Ra. On the other hand, Young had discovered according to his comparison system that the Rosetta stone included the name of Ptolemy, and that the proper names were marked with a cartouche or cylinder. With the fall of Napoleon in Waterloo in 1815, and the rise of the monarchy of Louis XVIII, the Champollion brothers were accused of conspiracy against the King. They lost their positions as teachers and were banished to Figeac. In the same time, an English nobleman discovered an Egyptian obelisk on the island of Philae, where various hieroglyphic inscriptions were found, which was copied to be studied by Englishmen and Frenchmen. Returning from exile, Champollion studied the hieroglyphics of the obelisk, and, like Young, saw that it contained a Greek inscription in which the names of Ptolemy and Cleopatra were read. There was also a hieroglyphic inscription with two different cartouches, one of them identical to that of the Rosetta stone, so he concluded that it corresponded to Ptolemy, and then the other was to be Cleopatra’s. Being Cleopatra a name in Modern Greek deduced that the hieroglyph was a translation and not something old. However, he had not yet found the key, since the known cartridges were Greek translations and he intended to decipher the previous script. He did this with the study of some inscriptions of the temple of Abu Simbel, which contained very old cartridges that had not been altered by Greeks or Romans. Applying his knowledge of History, religion and Coptic he deciphered the words Ramses and Thutmose, and with them the secrets of that stone. His theory was verified: the Egyptian writing system combined an ideographic and phonetic framework. On September 27, 1822 he wrote his “Letter to Dacier on the phonetic hieroglyphic alphabet” Where he explained part of his discovery. In France he was congratulated, except by his former teacher Sacy, who believed he was wrong. In the United Kingdom, Young accused him of having stolen his ideas, although later, he finally recognized his achievement. The Catholic Church was also disdainful with this discovery, since from the beginning it was contrary to the study of hieroglyphics. The reason for this opposition was simple: if the hieroglyphics were deciphered, part of the knowledge contained in the Holy Scriptures could be called into question. History would not begin with the Bible, but before, and that would be something impermissible, since only the Church could determine when and how was the creation of the world. 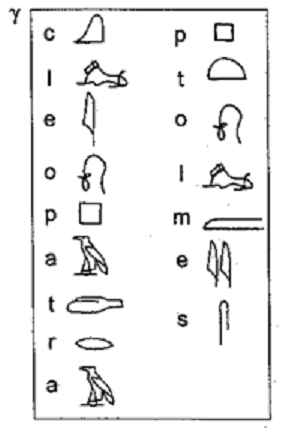 Champollion continued writing and studying the hieroglyphics in the following years. In 1824 he published his “Precise hieroglyphic system of ancient Egyptians”. In 1826 he was appointed the general curator of the Egyptian collection of the Louvre Museum in Paris. In 1828 he fulfilled his dream, since he made an expedition to Egypt where he was able to confirm his discovery and identify the temples and funerary monuments of the Nile valley. He died of a heart attack on March 4, 1832. 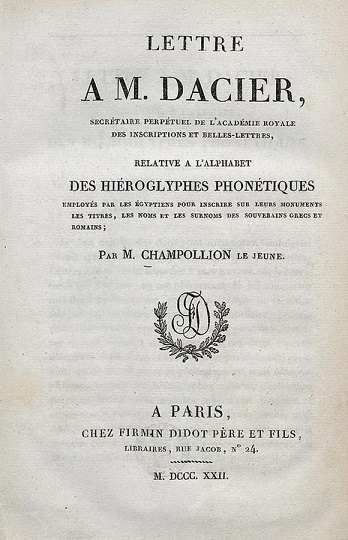 Champollion left unfinished studies on Egyptian grammar that was completed by his brother Jacques-Joseph.